Galaxy NotePRO 12.2 is slightly better than the Galaxy Tab Pro 8.4, getting an 8.02 score against 7.84. Although it's the best tablet we are comparing, the Galaxy NotePRO 12.2 construction is noticeably heavier and a bit thicker than the Galaxy Tab Pro 8.4. Both tablets in our current comparisson come with Android OS (Operating System), but the Galaxy NotePRO 12.2 has older 4.4 version while Galaxy Tab Pro 8.4 has Android 4.4.2 version. The Samsung Galaxy NotePRO 12.2 counts with a CPU that's just as good as the processing unit in Samsung Galaxy Tab Pro 8.4, and although the Samsung Galaxy NotePRO 12.2 has 1 GB more RAM memory, they both have a 450 MHz GPU and the same number of cores. Galaxy Tab Pro 8.4 has just a bit better screen than Galaxy NotePRO 12.2, because although it has a much smaller screen, and they both have the same exact 2560 x 1600 resolution, the Galaxy Tab Pro 8.4 also counts with more pixels per screen inch. Galaxy NotePRO 12.2 features a much better memory to store more games and applications than Galaxy Tab Pro 8.4, and although they both have a SD memory slot that admits a maximum of 64 GB, the Galaxy NotePRO 12.2 also has 64 GB internal storage. The Samsung Galaxy NotePRO 12.2 counts with a very superior battery lifetime than Samsung Galaxy Tab Pro 8.4, because it has 9500mAh of battery capacity. Galaxy Tab Pro 8.4 shoots just a bit better pictures and videos than Samsung Galaxy NotePRO 12.2, and although they both have the same (Full HD) video quality and a back-facing camera with an 8 megapixels resolution, the Galaxy Tab Pro 8.4 also has faster 60 fps video frame rate. 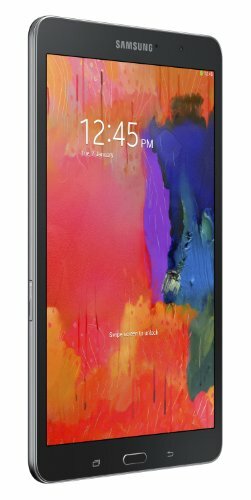 Despite of being the best tablet of the ones we are comparing here, the Samsung Galaxy NotePRO 12.2 is also a bargain compared to the other tablets, making it an easy decision.